The "young researchers" seminar co-organised by GERPISA (Groupe international d'études et de recherche permanent sur l'industrie et les salariés de l'automobile, hosted by ENS Paris-Saclay), and the Armand Peugeot Chair (attached to Centrale-Supélec and ESSEC), aims to provide doctoral candidates or young doctors in social sciences (sociology, economics, management sciences, history...) to promote and make known their recent or ongoing research, both to the academic community and to representatives of industry and/or public policies related to the automobile and mobility. it also intends to reinforce the social science community working more or less directly and/or explicitly around themes related to the automotive sector. The themes discussed this year reflect the interest shown by various SHS disciplines, which we wish to encourage dialogue, in steering the transformations of the automotive industry and mobility. In a transversal way, with the historical perspective or the prospective dimension, the question of technological choices for engines and the energy system - from their regulatory determinants to their competitive consequences - and the question of the autonomous vehicle are examined. Fabio ANTONNIALLI (Postdoctoral researcher, CentraleSupélec - Université Paris-Saclay - France, Ph.D. in Business Administration, Universidade Federal de Lavras - Brazil) : " Business Platforms for Automated Driving Systems"
Martin PAQUETTE (PhD student in Economics, GREThA, Université de Bordeaux, CIFRE PSA) : " Identifying new entrants in the car industry "
Michaël FERNANDEZ (PACTE, Université de Grenoble and Institute of East Asian Studies, Université de Lyon) : " The Hydrogen society facing the challenge - a study of the Japanese energy strategy, from its origins to its deployment." Felipe GONZALEZ VENEGAS (Doctorant Chaire Armand Peugeot GeePs – CentraleSupélecCifre PSA) : " Unlocking flexibility of electric vehicles for electricity distribution systems "
Discutant : Stéphanie Jumel, head of Electric Mobility programme, EDF R&D. Icaro FREITAS GOMES (PhD student in Economics, laboratoire RITM Université Paris-Sud) : " Coupling between distributed battery systems and photovoltaic generation : a techno-socio-economic review "
Business platforms for autonomous vehicles within urban mobility. With mobility becoming a key factor affecting citizen‟s well-being and life-quality, innovative schemes such as P2P ridesharing business models and Mobility as a Service (MaaS) concepts can have significant impacts to existing urban transportation business models. Furthermore, one of the most disruptive technologies regarding the future of urban transportation, is the insertion of Autonomous Vehicles (AVs). In this sense, the present study aimed at creating future scenarios for Business Platforms for AVs in urban mobility contexts. We proposed 4 scenarios with real-word examples present in urban mobility today, extrapolated to a future reality in which AVs are seen as a transport mode; (A) B2C autonomous ridesharing; (B) P2P autonomous ridesharing; (C) B2C multimodal mobility and; (D) P2C + P2P multimodal mobility. For scenarios A and B the prevailing business model is autonomous ridesharing which can be explained by business platforms theory, meanwhile for scenarios C and D the underlying business model is sustained by MaaS schemes where business platforms theory is tied to business ecosystem theory to explain value creation and distribution. We conclude that, besides the unlikelihood of scenario C, any of the others three have potential to become a reality whether AVs become an urban transport mode. : Autonomous Vehicles; Business Platforms; Urban Mobility; Scenario Planning. The Hydrogen society facing the challenge - a study of the Japanese energy strategy, from its origins to its deployment. Faced with the dual challenges of global warming and energy dependence, members of the international community are deploying strategies in which hydrogen plays a variable role. This one occupies a particularly important place in the Japanese vision. As part of the "Hydrogen Society" programme, the government intends to deploy this energy carrier on a large scale alongside the fuel cell, in housing, energy production, transport and mobility. However, in view of the current state of the Japanese market, it seems legitimate to us to question the archipelago's ability to achieve the objectives it has set itself. Several issues could indeed hinder the official roadmap, which is considering making Tokyo a technology showcase for the 2020 Olympic Games. These difficulties raise questions about how to deploy a technology with significant disruptive potential. Paradoxically, while such a deployment seems to call for a revolutionary trajectory, its success could be based more on a transition policy. In the energy transition scenario, the need to decarbonize the power and mobility sectors are the two main goals established during international environmental summits. The rising sales of electric vehicles as well as the great increase in photovoltaic battery systems deployed around the world are clear consequences of policies established to push the deployment of these technologies to reach climate agreement targets. Distributed battery storage (electric vehicles batteries and stationaries ones) and photovoltaic (PV) systems are disruptive technologies not only because they can individually contribute to CO2 emissions reduction but also due to the positive synergy between them. Batteries can store electricity surplus produced by PVs during the day, avoiding curtailment, and restore it to the grid to shave peak load or when external grid constraints are identified. This article provides a techno-socio-economic review of the coupling between electric vehicles equipped with bidirectional chargers, stationary batteries and PVs. The aim is to provide a framework for academics, stakeholders and policymakers willing to acquire further knowledge of the under-explored PV–EV–battery relationships. Firstly, the viability of the coupling is deeply impacted by the techno-economic scenario and its future perspectives. Inappropriate regulation of the electricity sector and outdated strategies formulated by the automotive one could jeopardize all the potential benefits brought by adoption of new technologies. Secondly, the emerging social aspects are found to be decisive variables in whether people are aware of the existing possibilities and willing to change their behavior or invest in distributed energy systems. Unlocking flexibility of electric vehicles for electricity distribution systems. Massive integration of electric vehicles into power systems will pose significant challenges, in particular to distribution grids. Nevertheless, EVs can be a source of flexibility for grid operation and planning. I will present the key technical and economic aspects for the proactive integration of EVs into distribution electricity grids as providers of flexibility services. While technical aspects have been widely addressed in literature, analysing EV impacts and smart charging strategies at various levels of the power systems, economic aspects present further uncertainties, coming the absence of frameworks for local flexibility procurement, uncertain viable business models and the evolution of roles and responsibilities of DSOs. However, there have been significant advances in recent years, with demonstrator projects proposing new technical solutions and testing business models, increasing interest in exploiting flexibility at the distribution level from EU regulators, and the development of local flexibility mechanisms by DSOs. he vision of autonomous driving is nearly hundred years old, but it was never realized on the road. Always announced as “only twenty years” away, the driverless car can be classified as a permanent future technology. Nevertheless, this vision has a very rich and long research history. Our presentation will present an ongoing study on pioneers and innovations in forty years of research on autonomous driving in the United States, Europe and Japan (1960-2000). This transnational perspective shows the transformation of different technological concepts of autonomous driving in the second half of the 20th century: The dominant paradigm or “Leitbild” of the first half of the 20th century was the idea to steer a car with guide-wires in the road. The vision of autonomous driving depended on the infrastructure. It was only with the development of microelectronics in the 1970s that it became possible to conceive de facto autonomous vehicles. The miniaturization of electronic components opened the possibility to integrate computer units into the car and new camera systems made it possible to think about an automobile that can “see”, a car with a visual guidance system. Fabian KRÖGER holds a PhD in History of Technology and Cultural Sciences from the University Paris 1 Panthéon-Sorbonne and the Humboldt-University of Berlin. He is Associate Researcher of the Centre d’Histoire des Techniques (Institut d’histoire moderne et contemporaine (IHMC), CNRS, ENS, Université Paris I Panthéon-Sorbonne, France. His main research topic is the Cultural history of technology, especially the technical and cultural history of autonomous driving. Last publications:L’histoire techno-imaginaire du véhicule autonome, in: Kröger, Fabian, Maestrutti, Marina (ed. ), Les Imaginaires et les Techniques, Presses des Mines, Paris 2018, p. 149-166. Kröger, Fabian, Weber, Jutta (Guest-editors), Degendering the Driver?, Special Issue, in: Transfers – Interdisciplinary Journal for Mobility Studies, Vol. 8, N° 1, Spring 2018. This article explores the origins of a regulatory system to control automotive exhaust emission in Western Europe between the 1950s and the early 1970s. It specifically focuses on the development in France, West Germany, and Sweden within the Working Party for the Construction of Vehicles (WP 29), in relation to the United States. Although automotive air pollution in Europe has been considered as an issue of limited political interest until the latter half of the 1980s, this study reveals that the conception of the automotive air pollution problem was framed differently in Europe than in the United States, but seen as an integral part of European air pollution control in the late 1960s. The study further suggests that the integration of the European automobile market was a roadblock for proactive national approaches to automotive emissions control, as unilateral efforts risked negative effects international trade, and that national environmental goals to reduce automotive emissions needed to account for internationally negotiated strategies. The electrification and automation of vehicles, as well as the emergence of mobility services, raises the question of the future of the automotive industry. While both private and public actors are predicting the end of private cars, and the arrival of electric and totally autonomous vehicles in the near future, there is little tangible evidence of this paradigm shift. Market prospects are limited, regulation is lagging behind, and technological developments are still far from reaching the levels required for massive deployment. However, one concrete observation seems to support the thesis of an unprecedented change in the industry: a large number of external actors seem to want to play a role. These new entrants in the automotive industry would seek to exploit new opportunities to offer alternatives to the automotive manufacturers' offer. Whether they are giants in their home industry, or startups seeking to explore new niches, these entrants have the potential to affect the evolution of the industry in a sustainable way, even beyond their individual chances of survival. This thesis work therefore has the following objectives: 1. to propose a conceptualization of industrial evolution through the phenomenon of entry and exit of companies. 2. Implement an inbound assessment methodology by determining their resources and capabilities. 3. Based on multiple data sources (patents, financial, human resources, etc. ), we propose an application to the current context. 4. Conduct case studies on inputs that show the potential for significant impact. 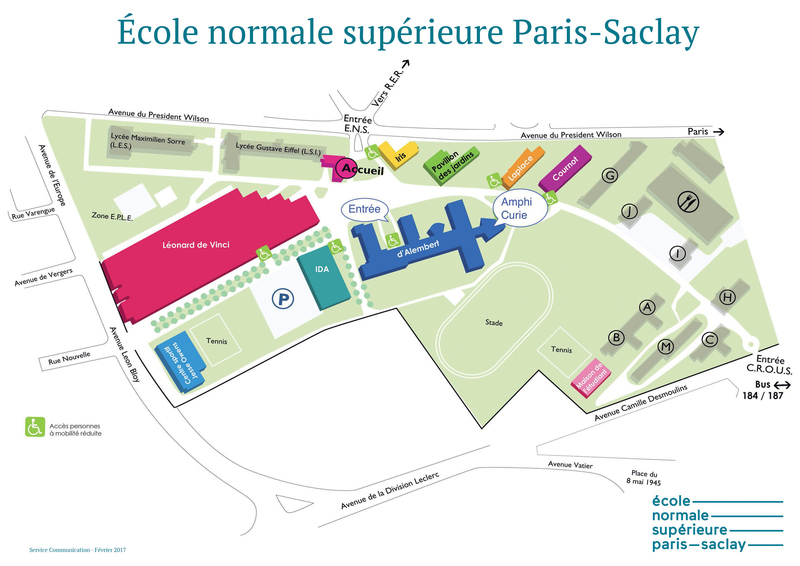 Access : ENS Paris-Saclay, 61 Avenue du Président Wilson, 94235 Cachan.